7 Year Old buys Harrier Fighter Jet on Ebay! Ebay sells all kinds of unimaginable things. Well how about a Harrier Fighter Jet?! 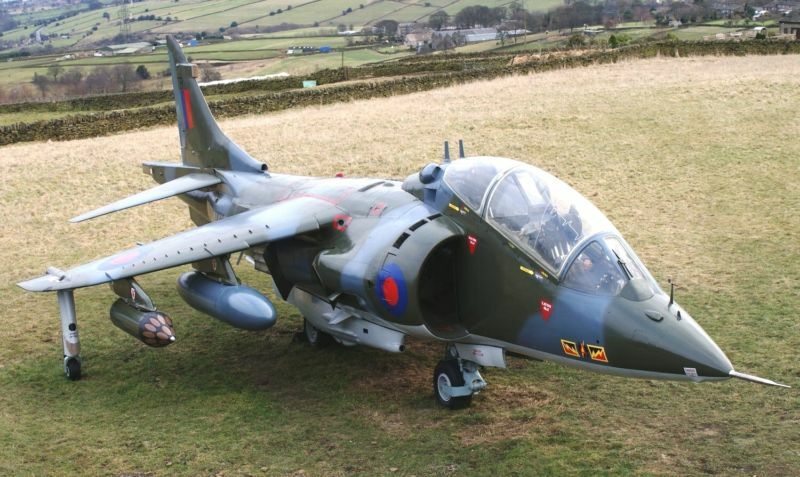 Fox reported today that a seven year old in London almost bought a real life Harrier fighter jet on eBay for $113,515. The British built Harrier jet was on sale on the site and was listed for a fixed price rather than being auctioned. The seven year old kid hit the “buy it now” button to go ahead and purchase the fighter jet. His father was quick to discover what his tiny brat had done and immediately contacted the sellers and requested the transaction to be canceled. The jet was being sold at the auction site by Jet Art Aviation. A spokeswoman said, “His dad rang up and profusely apologized to us, so it’s still for sale. We’ve put it on as an auction now so that won’t happen again”. The jet last flew in 1997 after which it was not flown and only now it was being auctioned off. The jet was not in a flying condition due to security reasons and it would cost millions of dollars to get it to fly. The Harrier Jump Jet T-Bird Aircraft XW269 currently on sale was last flown in 1997, after 26 years of service for the RAF. The link on ebay has since been taken down, but if it were up would you buy it? Disk Network Buys BlockBuster for a Steal! Previous Google Translate iPhone App is Out!